The structure of a website can be represented in the form of a graph where nodes represent pages and edges represent hyperlinks among those pages. The behaviour of website users changes continuously and hence the link structure of a website should be modified frequently. The problem of optimally rearranging the link structure of a website is known as Website Structure Optimization problem. It falls in the category of combinatorial optimization problems. Many methods have been proposed and developed by the researchers to optimize the web graph structure of a website. In this chapter taxonomy of the website link structure optimization models is presented. The formulation and explanation of the working of the models have also been provided so that the readers could easily understand the methodology used by the models. The size of the websites is growing with time and many firms are providing services through e-commerce applications. The burgeoning e-commerce market in the world has attracted the attention of researchers all over the world towards making the experience of a website user hassle free. Visitors visit a website at different times with different goals. The information needs of web users changes with time. Hence, there is need to frequently change the website structures according to changing needs of the users. Efficiently browsing a website means getting to the required webpage quickly. These days users tend to leave a website if it takes too long to get to the needed information. 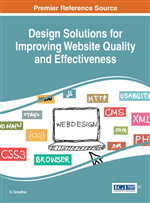 Increasing the efficiency refers to facilitating the browsing of a website for the users. The websites are classified mainly into two categories (Singh & Kaur, 2014c): Static websites and Dynamic websites. Static websites refer to the websites with textual material remaining unchanged for a long period of time. Websites of hotels, universities and hospitals are examples of these kinds of websites. Dynamic websites refer to the websites with regularly changing content. E-commerce websites are examples of these kinds of websites where information about new products and schemes is added and information about old products is removed regularly. The link structure of a website can be considered as a directed graph where webpages are represented by nodes and edges represent the hyperlinks between webpages. Figure 1 represents such a structure. This structure is also known as a webgraph (Dhyani, Ng, & Bhowmick, 2002). Mathematical Programming Techniques- In these approaches, the problem is formed as 0-1 programming problem with some constraints to be satisfied. These methods use linear programming tools to solve the models. Heuristic Methods- These methods are based on heuristics such as combining two nodes, removal or addition of links etc. Heuristic models do not guarantee to produce optimal or near optimal solutions. These methods also include the identification of frequently travelled path so that important links in a structure can be identified. These methods are very fast but are not successful in providing good results consistently. Meta-Heuristic Techniques- Mostly, metaheuristics are derived from some natural process such as food foraging process of ants. These approaches use predefined strategy to find the near optimal solutions. In these techniques, the problem is transformed according to the natural process so that the technique could be easily applied to find the solutions. The problems that are not easily solved by heuristic methods or mathematical models have been found to be easily solvable by metaheuristic methods (Yin & Guo, 2013). Connectivity constraint- This constraint defines that every other webpage should be reachable from the home page. This constraint should be satisfied by every model. Depth constraint- There should be a limit on maximum number of edges to be travelled to reach a particular page from home page. This constraint ensures that the user stays on the website for a long period of time. Outdegree limit- There should be a limit on the number of hyperlinks out of a webpage. This is necessary because more hyperlinks on webpage can confuse a user about which link to follow. Link constraint- There are some links which should not be removed and there are also some links that should not be included in the link structure to maintain the service logics specified by website design. Security constraint- Some webpages hold critical information for managerial personnel hence can be navigated through particular pages.